Разстояние до летището 88,5 км. Имате въпрос към Baanrak Amphawa? Разположен в Ампхауа, Baanrak Amphawa е перфектно място да почувствате духа на Амфауа (Самут Сонгкхрам) и околностите. Оттук гостите имат лесен достъп до всичко, което този оживен град може да предложи. С удобното си местоположение хотелът предлага лесен достъп до всички градски забележителности, които задължително трябва да се видят. Предлагайки висококачествени услуги и широка гама от удобства, Baanrak Amphawa Ви осигурява възможно най-комфортния престой. Докато са отседнали в този чудесен хотел, гостите могат да се насладят на безплатен WiFi достъп във всички стаи, Wi-Fi връзка в общите части. Насладете се на висококачествените удобства по време на престоя си тук. В някои стаи са на разположение телевизор с плосък екран, достъп до интернет (безжичен), безжичен интернет достъп (безплатен), климатик, телевизор, които ще помогнат на гостите да релаксират след дългия ден. Хотелът разполага с множество уникални възможности за отдих, като например масаж. Открийте интригуващата комбинация от професионално обслужване и широка гама удобства в Baanrak Amphawa. Good breakfast, can order boat and massage. Very nice place. We come here often. Гестхауз находится в конце рынка, надо зайти в жилой квартал через мостик. В отеле потрясающая аутентичная атмосфера, красивый интерьер, очень интересный и потрясающе вкусный завтрак со множеством блюд, комнаты чистые, без изысков, но все работало. Кровати удобные. Нас покормили супом вечером бесплатно, очень вкусно. Взяли экскурсию смотреть шоу светлячков- я раньше такого не видела, интересно, съездите- любопытно, стоимость 60 батт. Утром в 6 утра делали подношения монахам. Они приплывают к дому на лодках. Необычно. Хозяева организуют покупку цветов и всяких мелочей в качестве подарка монахам. Очень рекомендую. Показалось, что одной ночи мало- в округе есть много интересного. Ездили на экскурсию по каналам по 5 храмам, стоимость 50 батт, продолжительность часа 2. Очень рекомендуем гестхауз! We had a great time during our stay.The room was simple but comfortable enough.The staffs were very friendly and helpful and the breakfast was very delicious,too. Will come back again for sure! It''s a really nice and cosy hotel to stay in, Place is clean and quiet, comfortable, Breakfast is good, Staffs and the owner are very friendly and helpful. Please remember this is home stay not a hotel. All the rooms are made from thin wood. You will here your neighbours !!! The food is good (not a big menu) The view is worth the visit it self. A boat trip is well worth a go. Buffet breakfast is ok Friday and Saturday is very busy. I recommend you give it a go. Nice front dining porch overlooking the river. Even through the host struggled to speak english, they make us as comfortable as possible. They served free dinner (on top of free breakfast) ie, green curry better than the amphawa market food but you may have to order more as it may not be enough. The accomodation is 15min walk from the Amphawa Floating Market main bridge (minibus from Bangkok Sai Tai Mai drop off point). 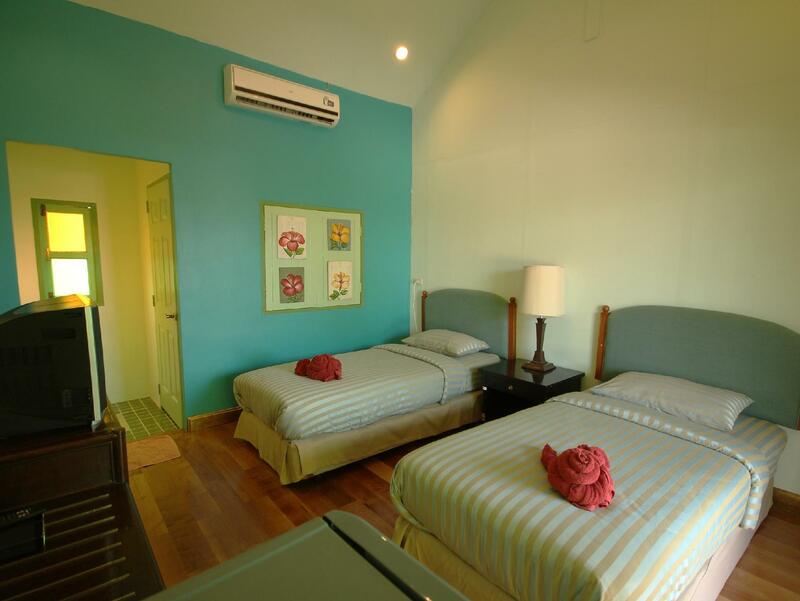 The room has basic facilities but the staff are friendly and helpful. Breakfast was really good, buffett style by the riverside. In our first long trip, this hotel remained in our heart. The breakfast area in faced on the famous river when the floating market takes place and you can see the varanus ..incredible for us! Our host helped us in every way, like a relative do, she cooked for us a free dinner cause we arrived late, she helped us in everything, giving all the information about the place, calling and waiting for the bus that we had to take. The host is a wonderful and loving person, when we think about that place we really feel moved. Thanks for all! the Hosts are super nice, they will answer any questions even though with limited English, they will try their best. Rooms are nice, clean, theme decorations. Internet are also good, quite fast. Breakfast and Dinner are included and they are changing everyday. 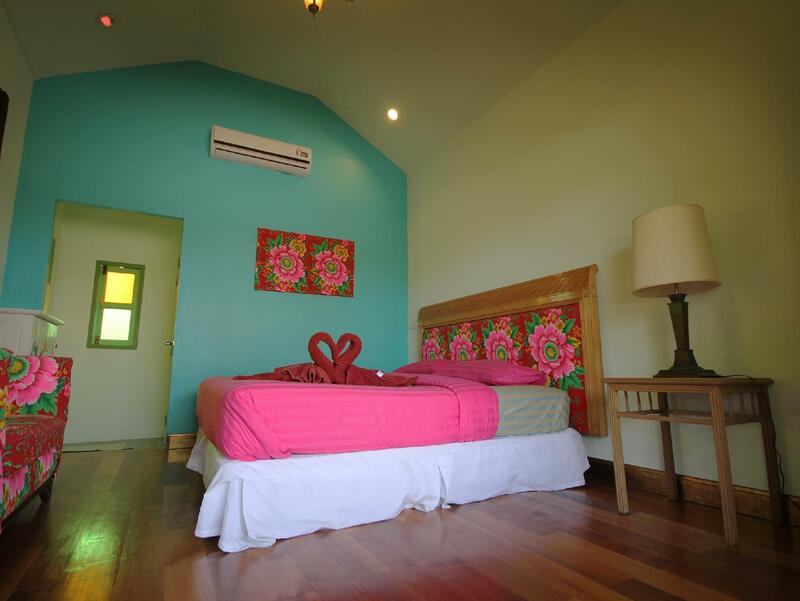 The location is right on the river, you can reach by boat or walk about 7 mins to the market. One thing though, bring mosquitoes repellent. I fed them nicely while seating at the river bank (cafeteria) for food. You have to walk a bit from the minivan stop, but the views from the room and lobby were amazing! The staff are friendly and offered you the boat ride to watch the fireflies at 60baht per person! You can also purchase the offerings for the monks, they will come to the hostel by boat in the morning. And the breakfast was just simply amazing!! I chose this place due to the review by others and it did not disappoint my family and I. The hospitality by the staff are just awesome. Place is clean and comfortable yet tranquil. I will definitely visit this place again. This is my 2nd time stay at here. They help arrange the fire fly watch at 8pm and journey is more than 1 hour. Arm giving at next day morning. 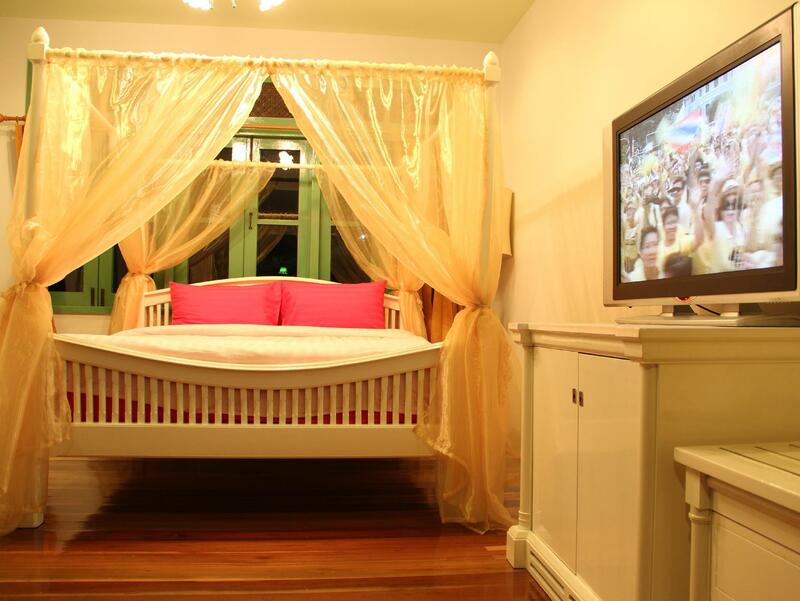 They also serve simple dinner for in house guest & many choice of thai food for breakfast. A brief stay in Amphawa to see the floating market. Although today is Tuesday and not floating but I did enjoy my stay. Very quiet and romantic place. I really suggest that travelers stay a night here and if possible feel the vivid life of the floating market in a weekend. We stay one night but such a pleasure stay, Manger the lady she was cute taking care make us feel so comfortable and has sense of humor. hostel was very clean, cute hostel. We arrived at night it was very romantic. Bed was comfortable. This homestay is more than what you can ask for. The staff are super friendly and informative. The location is at its best because it is on the quite side of Amphora but the market is also within the walking distance. With the price you pay, it includes two meals: breakfast and dinner. They both are delicious. I would recommend this cozy homestay to everyone. The location was nice, just alongside the river of Amphawa. You can lay on the balcony to enjoy the terrific view and have delicious Thai-style breakfast in the morning. The staff was also one of the highlights, immediately greet us with a friendly greeting when we arrived. 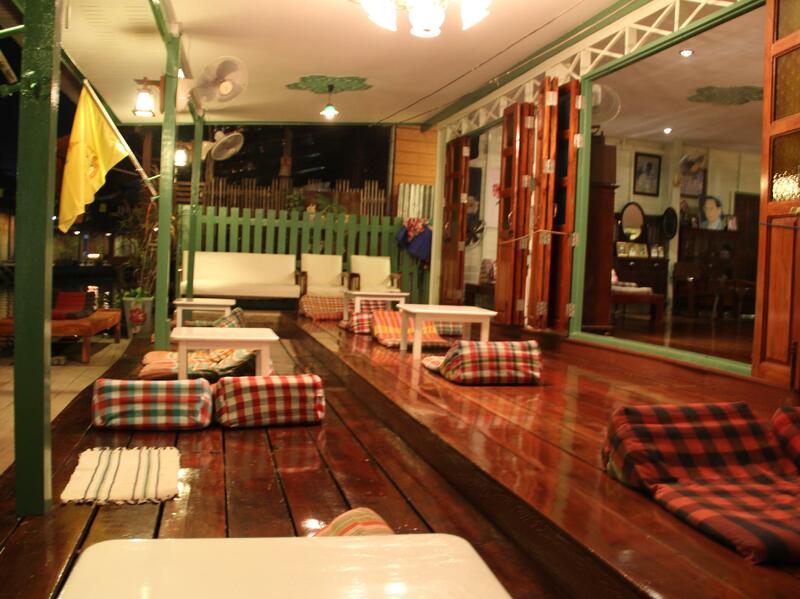 I highly recommend this guesthouse to people who'd like to experience the slow-paced life in Amphawa. Was given the first room on top of the stairs. Room is ok except that the afternoon sun was very hot. The air-condition could not cool the room fast enough. Have to exit the room for a cooler place in the hotel Other than that the hotel is as what my husband wanted. Breakfast is really good though !